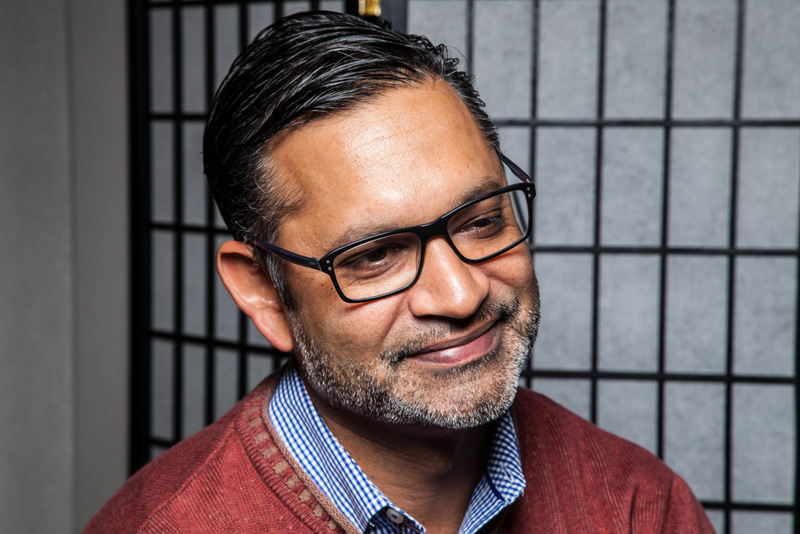 Ali Noorani is the Executive Director of the National Immigration Forum and author of the forthcoming book There Goes the Neighborhood: How Communities Overcome Prejudice and Meet the Challenge of American Immigration. Before taking part in a Zócalo/UCLA panel, presented in partnership with the Japanese American National Museum, entitled “What Does the Japanese American Experience Tell Us About the Proposed Muslim Registry?” he chatted in the Zócalo green room about aging autos and ravishing cinema. Is there a teacher or professor who changed your life? Kitty Drew. She was a fifth grade teacher and junior high English and journalism teacher. She drilled into my head how to write and communicate. What’s your favorite use of public space in Los Angeles? Little Tokyo is kind of a cool space because you turn any corner, you see something a little bit different. I drive a 2003 Hyundai Accent. Every now and then I have to hold it together with duct tape. What are you keeping in your closet that you should have thrown out already? I’ve actually been very good in my closet management lately. Unfortunately, I can’t say that about my life. I just finished Robert Caro’s The Power Broker, about Robert Moses. Did you have nicknames as a kid? No. With a name like Ali, it kind of leads to a lot of nicknames that you don’t really think of as nicknames. How much is too much to pay for a good cup of coffee? I think I’ve got like a $5 cap. Between four and five it still has to be pretty solid.